I’ve posted limericks to this blog before. Quite a few, in fact. 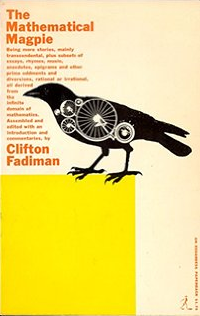 But a friend recently sent me The Mathematical Magpie, a collection of math essays, stories and poems assembled by Clifton Fadiman and published by Simon and Schuster in 1962. Coincidentally, one section of the book is titled Comic Sections, the name of a mathematical joke book written by Des MacHale in 1993. (I contacted Professor MacHale several years ago, and he suggested that we swap books. Best. Trade. Ever.) Des MacHale is Emeritus Professor at the University of Cork, a mere 102 km from Limerick, Ireland… which brings us full circle to today’s topic. Tell me how I’m to add two and two? But I fear that is almost too few. When his theories, some colleagues derided. Says extraction of cubes is child’s play. Just hot water to run on the tray. The mouse on the Möbius strip. On a ladder against a wall. The cosecant may prove his downfall. Got any math poems or limericks you’d like to share? We’d love to hear them! Finals are just around the corner, and another semester will soon be in the books. Here’s a poem to relieve the tension for all of you preparing for final exams — whether taking or administering them. And a pig came up and lay down at my side. We lay side-by-side in the gutter for quite some time — swine and co-swine. I’m sick and tired of finding your x.
Oh, these numbers make me whine! I am really doing poor. If I learn this, will I shine? Today we had a test, it was mathematical. And wasn’t all that fantastical. I rather it be biographical. Does it come from the capitol? Thanks to the folks at Thinkfinity for promoting this contest. All of the entries can be read in the Thinkfinity Community. April is Math Awareness Month, National Poetry Month, and National Humor Month. For imagining my favourite number. Instead I feast on π — delicious! Not very good at learning lessons, I’m trying it again. But this time, I’m letting the good folks in the Thinkfinity Community run the contest, and maybe there will be more entrants when it’s announced to their 50,000+ members. 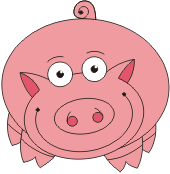 That’s where you can learn more about this year’s humorous math poem contest, and you should post your entries in this discussion forum. If you’re a math teacher, you might also want to check out the discussions in the Learning Math group. Got math? Got rhyme? Got iambic pentameter? Then let the world share your treasure! Post your entry here. It’s Valentine’s Day. Uh-oh… you didn’t forget to get your sweetie something nice, did you? No worries. MJ4MF is here to help. Of course, you could make a Magic Heart for your special someone. But if Arts ‘n Crafts aren’t your thing, just copy one of the following poems onto a blank card, and your sweetie will be swooning! For my money, though, the best math love poem is “Square Root of Three” from Harold and Kumar Escape from Guantanamo Bay. Had a boyfriend of 60 named Bertie. By modulo 50, she’s 30. Or perhaps you’ve just gotten out of a relationship and are currently single. Here’s a poem you can send to your ex. Or maybe you really don’t feel like celebrating. You’ve been jilted, and you are officially anti‑Valentine’s Day. The following MJ4MF original poem might be more to your liking. The day you ripped out my cardioid. F**k this day, and kiss my asymptote!